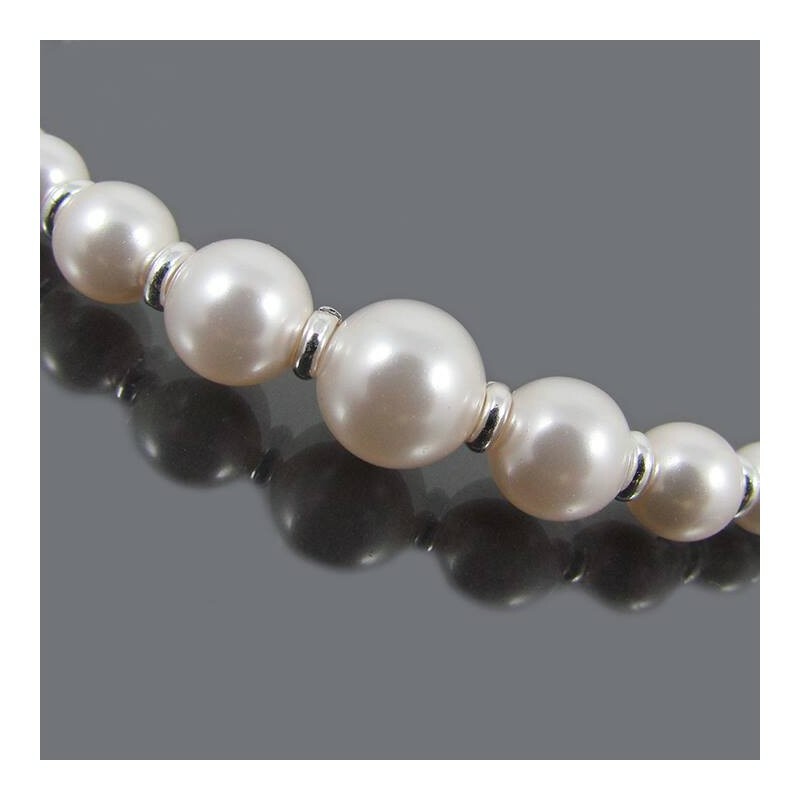 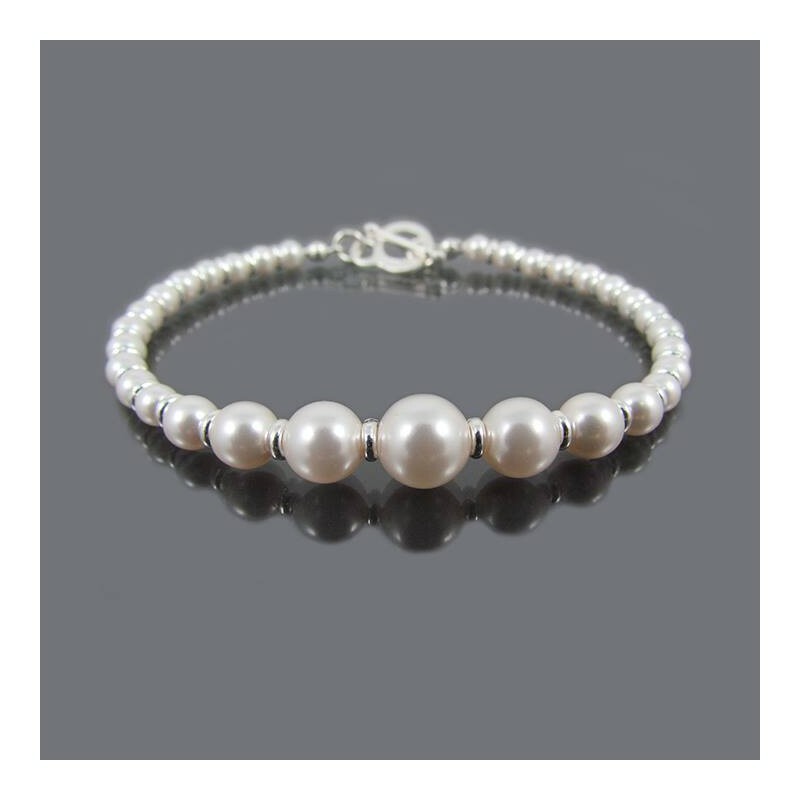 Freshwater pearl bracelet, the bracelet is made of pearls of different sizes staggered. 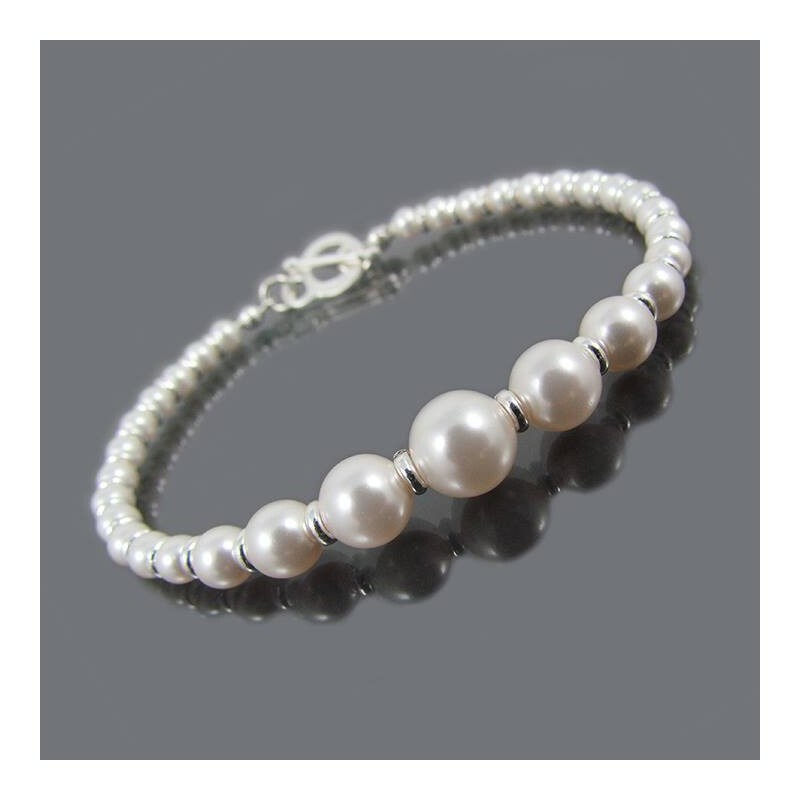 Real swarovski pearls and silver plated links. 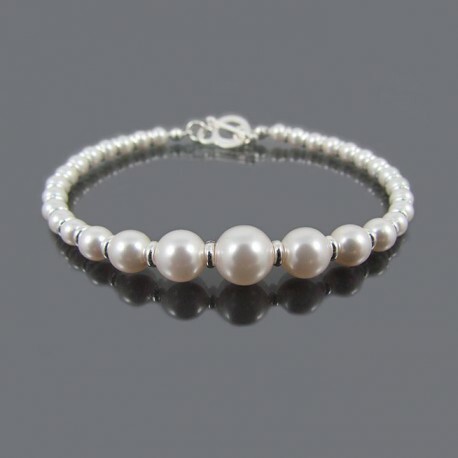 All my jewelry is made with great love and a lot of attention in each detail.